Housing Minister Grant Shapps has today launched a new national crackdown on tenancy cheats who unlawfully sublet their council or housing association properties and deny homes to people who really need them. At least 50,000 social homes in England are being unlawfully occupied - providing the equivalent number of new social homes would cost more than £5 billion, and it is estimated that the number of unlawfully occupied properties ranges from one in 100 in some parts of the country to more than one in 20 social homes in some inner London boroughs. Tenancy cheats live elsewhere, but can earn thousands of pounds a year charging higher rents for their social homes. If caught, these cheats lose their tenancy and can lose their right to a social home in future. Those living in these homes may not know about the fraud, but fewer than 5 per cent of those evicted once their ‘landlord’s’ fraud is detected subsequently apply to the council as homeless - they often find alternative accommodation in the private rented sector. Mr Shapps today announced that the 51 councils doing the most to tackle this menace will receive a share of £19 million to bolster their efforts - which can include dedicated housing officers to investigate allegations, and tenancy audits to ensure the lawful tenants are living in the property. He outlined how he is looking to back all councils across the country with a dedicated national action team, based at the Chartered Institute of Housing which will be available to offer practical support and advice to local authorities looking to tackle tenancy fraud in their area. The Minister also said he is looking to lower the cost of using the services of credit reference agencies to help identify potential cheats. 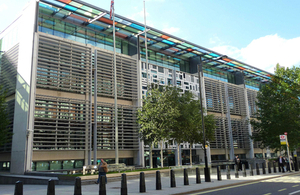 The Government is working with the National Fraud Authority to develop standard contracts for councils to agree with credit reference agencies, at standard prices, to lower the costs of using their services. Tenancy fraud costs this country billions of pounds, but it’s not just the money that’s wasted The Housing Waiting list has doubled and tenancy fraud means that tens-of-thousands of people who could otherwise be housed are losing out because of cheats. We cannot afford to ignore this problem. That’s why today I’m launching a national crackdown, bolstering the efforts of councils across the country with £19million Government cash. I’m also going to back them further with a dedicated national action team to help tackle tenancy fraud. The start of today’s campaign is part of a wider Government effort to ensure council homes go to those who need them most. That’s why I’ve launched plans for the biggest shake up in social housing for a generation, including the introduction of more flexible tenancies and greater fairness in the way social homes are allocated. We are delighted to be leading the sector in ensuring they have the professional advice and practical guidance to help them make more of their existing social housing. The new advice team that will be based at CIH will be made up of professionals who can support other professionals in local councils and housing associations to tackle illegal subletting and make the most of existing social housing. We have also issued a new guide on tackling housing tenancy fraud with the National Fraud Authority today, which brings together examples of initiatives that really work and will help more housing providers ensure social housing goes to those in genuine need. Social housing is a valuable national asset which must be protected to provide homes for those who need them the most. In a time where demand is outstripping supply, it is imperative we tackle the fraudsters denying low income families access to proper accommodation and profiting from unlawful subletting. The NFA is dedicated to working with Government and local authorities to reduce the impact fraud has on the public sector and the impact it has on society. Ms K obtained a tenancy on a two-bedroomed flat from Ealing Council from January 1991 by using false papers and a false identity to prove she’d been made homeless by her landlady. Instead, for the next 18 years she continued to live in a property she owned while subletting the flat, and claiming housing and council tax benefits. When her unlawful subletting was discovered council officers took legal action against her, and she pleaded guilty to six charges under the Theft Act, and was sentenced to 12 months imprisonment. The judge also granted a confiscation order for £290,451, Ealing Council were awarded £76,697 in compensation and Ms K was ordered to pay £6,132 to cover prosecution costs. Ms K has already paid over £68,000 towards the amount she owes but if she fails to repay the full amount within 12 months her prison sentence will be increased to three years. After making several visits to one of their properties in South East London, Gallions Housing Association eventually received a reply from a man claiming to be the brother of the tenant, Mr B, who he claimed was out at work. At a later visit, the man claiming to be Mr B produced a UK driving licence as proof of identity. However, the housing officers quickly established that the photograph on the licence bore little resemblance to that in the records held on Mr B by Gallions. Further inquiries revealed that the real Mr B had been living in Baltimore, USA, for some time. The individual living at the property admitted he was a friend of Mr B’s. Mr B contacted investigators and agreed to sign a tenancy termination notice, returning the property to Gallions Housing Association for a family in need. Housing officers at Kensington and Chelsea Borough Council discovered one of their homes being offered to rent through a local letting agency. When they visited the address, they discovered that a local businessman was living there paying £300 a week rent to the person holding the tenancy, Mr L. The council took legal action, and Mr L was ordered to pay £7,179.52 - which included costs, rent arrears and the £2,993.70 profit he made while sub-letting the property.